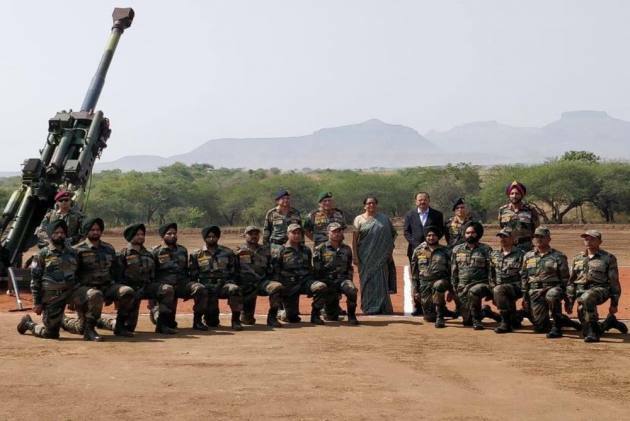 Signalling a major milestone towards capacity building and enhancement of the Army, Defence Minister Nirmala Sitharaman on Friday dedicated three top globally combat-proven weapons to the nation. The first 10 K9 Vajra 155mm/52 calibre guns have been imported from Hanwha Techwin of South Korea in semi-knocked downstate and have been assembled by L& T in India. The 6x6 Field Artillery Tractor has been indigenously developed by Ashok Leyland and will provide the much-awaited replacement for the ageing fleet of artillery gun towing vehicles.